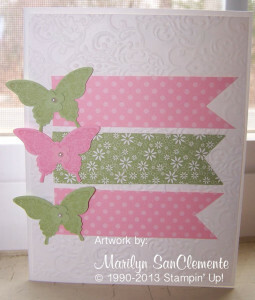 perfect set to use for embellishments for any card or scrapbook page!! A definite go to set for any paper crafter. DON’T go away yet!! 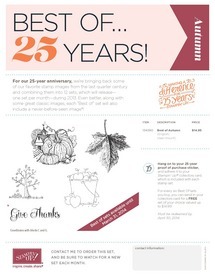 Since MOnday is a Holiday, SU has announced the new Best of 25 Stamp set for September a couple of days early! I have already ordered my set since these are several of my favorite FALL Images. 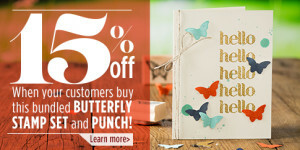 butterflies, cards, handmade cards, Papillion Potpourri, Stampin' Up!. Bookmark.